Nissan has recently announced the availability of the new NP300 Navara pickup truck in the United Kingdom, where the cheapest model will be priced from 21,995 GBP, in the 2WD King Cab version. 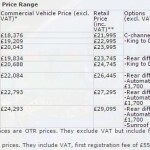 The full prices are listed below. 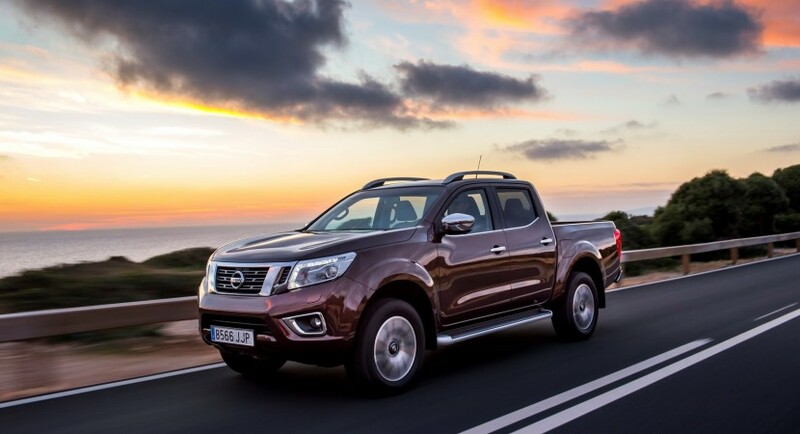 In the UK, the 2015 Nissan NP300 Navara is available in five versions, the Visia, Acenta, Acenta+, N-Connect as well as the Techna, all coming with two body styles, King Cab and Double Cab. The 2015 Nissan NP300 Navara also packs a newly added engine, which is the 2.3-liter dCi diesel mill, with 157 horsepower with a single turbo and 187 horsepower in the twin-turbo configuration. The pickup truck can be had with a 2WD and a 4WD system, hooked to a standard six-speed manual or a seven-speed automatic. Apart the new engine, the 2015 Nissan NP300 Navara is also coming with a 5-link rear suspension and safety features such as Hill Start Assist, Hill Descent Control, Forward Emergency Braking, Electronical limited slip differential and a few more. The 2015 Nissan NP300 Navara in the UK will be the main competitor of the Toyota Hilux, Volkswagen Amarok and the Mitsubishi L200. Please find below the full prices!